So last week I attended the IAJGS International Conference on Jewish Genealogy in Washington, DC. As mentioned in a previous post I also spoke at the event, on the topic of Utilizing Belgian Archives for Jewish Research. I’ve posted a page on this site with the links mentioned in my presentation, although the page is not fully fleshed out yet. The page has a link to it in the tabs at the top of the page. It has all the links and e-mail addresses I mention in my presentation, but without hearing the lecture, not everything on that page will make sense. I plan to flesh out the page into a full article, and perhaps to take the actual presentation I used and put it up as a video with voice-over. If readers of this site express an interest in such a video, I’ll try to get it done sooner. This was the second IAJGS conference I attended, and it was definitely interesting. I can’t speak about everything I saw at the conference, but I thought I would mention a few small things I noticed. The conference Resource Room had a large number of commercial databases available for searching during the conference. 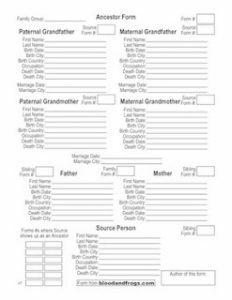 Most of them I either pay for already or didn’t have much information on my family. ProQuest allowed the conference to have access to their database (normally only available through libraries and other institutions) for one day only in the middle of the conference, and indeed that database with its numerous newspapers had quite a bit of interesting information on my family. I haven’t had time to sort through everything yet, but I tried to copy as many of the articles as I could to a flash drive for later review (since computer usage was limited to one hour on the day the ProQuest databases were available). Many thanks to Suzan Wynne (I’ve mentioned her book on Galicia in a previous article) who organized the Resource Room at the conference and did a great job. I mentioned this was my second conference. My first was in Jerusalem, Israel in 2004. I actually did the page layout for the souvenir booklet for that conference. It has been a tradition that every ten years the conference is held in Jerusalem (on the 4s) but this year it was announced that the 2014 conference, while previously announced to be held in Jerusalem, would instead be held in Salt Lake City. There was a lot of chatter at the conference about this change. Many people were disappointed as they had planned to come to Israel for the conference. 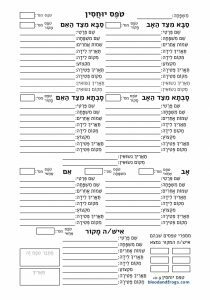 The reason for the change were not clearly given at the conference, but for those familiar with the Israel Genealogical Society (IGS), the reason was quite simple. The IGS underwent a leadership change a couple of months before a major deadline imposed by the IAJGS for the 2014 conference. The new leadership did not have enough time to complete the work required by the IAJGS for the conference and had to give it up. There is the potential to have the conference in Jerusalem in 2015 instead, so hopefully the IGS will have a formal submission ready in time to get the 2015 slot. In the meantime, the next conferences will be held in Paris in 2012, followed by Boston in 2013. Paris is a bit closer for me here in Israel, and Boston is where I grew up, so I will hopefully be able to attend both conferences. While Salt Lake City is the Mecca of the genealogy world, 2014 is a bit too far out for me to determine if I’d be able to go or not. One interesting aspect of the conference was the group of younger participants who got together at various times, sometimes officially but mostly unofficially. In the world of genealogy it seems ‘younger’ is defined as under 50. Certainly the vast majority of attendees at the conference were over 50, indeed probably over 60. The group of 20s, 30s and 40s got together and discussed their approaches to genealogy. There was a general consensus that the conference planners had not geared the conference for younger people, and indeed perhaps did not understand how to do so since none of the planners were young. The group will try to stay in contact and influence upcoming conferences and events to be more appropriate for younger genealogists, to encourage more younger genealogists to present at these events, etc. Many thanks to Elise Friedman, who it seemed at times to be running multiple events at once, who organized almost all the events targeted at younger genealogists (dubbed appropriately for a genealogy conference – next-gen genealogists). As many of you know, I use a Mac for my computer. I attended the Mac BOF (Birds Of a Feather) meeting at the conference, where there were about 50 other Mac users. An informal show of hands indicated that the vast majority of those there used Reunion for their genealogy research. For a program that hasn’t had a major upgrade in over four years, that’s pretty amazing. Indeed I use Reunion also, and so far I haven’t found anything as easy to use as it even though I’ve looked over the years. My first post on this blog was actually a look at Family Tree Maker for Mac. One feature added in the past four years to Reunion was the ability to sync with versions of their program on the iPhone and the iPad (sold separately). Yesterday was a year since Reunion for iPad was launched, so hopefully in he meantime they’ve been working to update their Mac product. One very noticeable trend at the conference was that large number of iPads being used, and every one that I saw was running Reunion for iPad. Presumably those people were syncing with Macs, but it’s possible they were just using it on the iPad, I’m not sure. There is no Windows program for the Reunion for iPad program to sync to, so they either were syncing to a Mac or not syncing at all. There were many iPads around. I don’t currently have an iPad, but it’s usefulness at the conference was clear. I was constantly looking for a place to plug in my computer, something those with iPads didn’t need to do (at least not as often). I thought I would share one interesting encounter from the conference (although there were many). A woman who attended my lecture approached my afterwards and said she remembered her father had some connection to a man whose last name was Trauring (my last name). They both had lived in Belgium at the same time (which was clear to her from my lecture), and both were involved in the diamond business in New York (which she confirmed by asking me after the lecture), but she didn’t know what the connection was. While searching the ProQuest databases (mentioned above) I came across an announcement of a business lease for an office which mentioned both the name Trauring and her father’s name. Pretty amazing since a day earlier I hadn’t even heard of her father. Just minutes after I left the Resource Room with the article on my flash drive I bumped into the same woman and showed her what I had found. She was (as I was) amazed at the coincidence of finding the article that confirmed the connection so soon after she mentioned it. While talking to her while copying the file, she noticed that I was also researching Kleinhaus (the name badges at the conference listed surnames being researched by the wearer) and she told me she had a photo of a woman which it turned out was my grandmother. Small world indeed. My 96 year old grandfather was able to confirm that his brother had been in business with this woman’s father (not my grandfather) but he had known him well. The moral of this story is sometimes personal contact is the only way to find connections, and that there are non-relatives out there with information on your families (such as the photo of my grandmother) that you wouldn’t normally think of when doing your research. This is one of the reasons that attending conferences like this one can lead to breakthroughs in your research. At the conference I also came up with several ideas for new articles for this site, so I hope to get those written and posted soon. I am expecting an addition to my own family tree soon, however, so my time to write may be curtailed. Please be patient if I am slow to post new articles. Even while I may be slow to post articles in the near future, I will be trying to answer questions on the Facebook page. ‘Like’ the Facebook page for this site at facebook.com/jewishgenealogy to join this site’s page and participate. Everyone is also welcome to answer research questions on Facebook. I’m trying to build the Facebook page into an interactive community where people can ask and answer questions on Jewish genealogy, so if you are on Facebook (or have been looking for an excuse to join) then go to the Facebook page, press the ‘Like’ button and join the conversation. If you attended the conference in DC and want to share your experiences, please post them in the comments below. I enjoyed the conference and not only jump started some of my stalled research but learned quite a bit. There were many high points but one of my favorites happened when I attended a dinner with members of JGSGB. I happened to sit next to a man who ironically belongs to the Westwood, Mass. temple my parents founded. With further discussion it turned out that he is the brother of one of my temple’s past presidents! Behind me sat my rabbi’s parents, avid genealogists from the Boston area and across from me was the advisor from my college’s Jewish group back in 1970! Even though I haven’t lived in Massachusetts in over forty years I was welcomed warmly. As a result I have offered to help with the next Boston conferernce. Coincidence? I think not! This happens all the time at our conferences! Since many of my relatives passed through Antwerp, I attended your talk at the conference. While I have not so far found any indication that any of them stayed for longer than 2 weeks, I found your talk very interesting and enjoyable and a great reference for the future.